connected with the British army for about half a century, was known as an active and able inspector of military hospitals, and held for many years the situation of chief of the medical department of the army in the West Indies. He has given the results of his observations and experience in different valuable works. The spider’s web, and even the body of the spider has been, and still is employed by the vulgar of some countries, as a remedy for the cure of ague and fever; but, when mentioned by medical writers for such virtue, it is for the most part mentioned only to be ridiculed; or it is supposed to produce the effect, which experience proves it to produce, by impression of abhorrence at the idea of swallowing a spider, or a spider’s web. 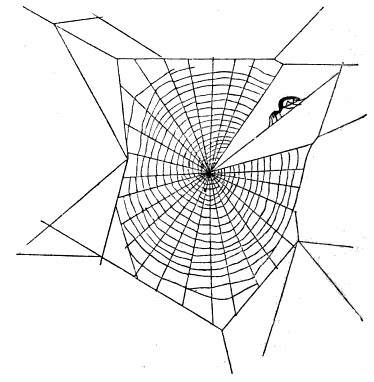 Dr Jackson states unequivocally that he believes the virtues of spider’s web have been unfairly ignored. The knowledge of the virtue of cob-web in curing intermittents is old and vulgar; but, it was not until the beginning of the present century that I knew of it, and that experiment was made, under my own direction, which ascertains the fact—as to its virtues. It took place in the hospital of the army depot in the year 1801. Some cases of intermittent fever, the most of them the produce of foreign or aguish countries, had been long in the sick list of that hospital, obstinately resisting, or only temporarily yielding to bark, arsenic or mercury—singly or in alternation, administered with every possible attention to circumstances. Intermittent fevers are those in which patients endure a cycle of elevated and normal temperature. The term is not a specific one: several different infections produce such symptoms. Given that Dr Jackson was in the tropics, it seems likely that many of his patients were suffering from malaria. Of the drugs he mentions, only bark (also known as Peruvian or cinchona bark, which contains quinine) is likely to have been much use. The effect of cob-web,—a fact mentioned to me some short time previous by the late Dr. Gillespie of Edinburgh, occurred to me on this occasion. Perplexed by the obstinacy of the intermittents in question, I determined to make trial of it, and 1 directed that a quantity of the purest should be collected from the cellars of the hospital, and made into pills of four or five grains each —without communicating my purpose to any one. Let us hope that the hospital had particularly clean cellars. I imagine that spider’s web taken from a cellar could be pretty grimy. Four cases were selected for the experiment: to these four persons two pills were given with my own hand, at intervals of two hours, commencing six hours before the usual time of the return of the paroxysm. The pills acted like a charm: the paroxysm did not return, and health was actually restored—in some speedily, in others slowly. The effect was more than expected: and, as cob-web seemed to be a substance of power, cob-web pills obtained a place among the formulae of the hospital pharmacy. 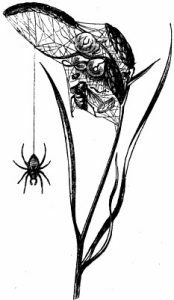 It was further noticed that cob-web not only arrested the course of intermittents, but that it removed— almost in the manner of a charm, various forms of irritation, pain, spasm, delirium, vomiting, griping in the bowels and other threatening symptoms common in continued fever; such, at least, as were principally manifested on the sentient system and organs of locomotion:—it was of no marked value where congestions or inflammations- existed in the substance of internal organs. 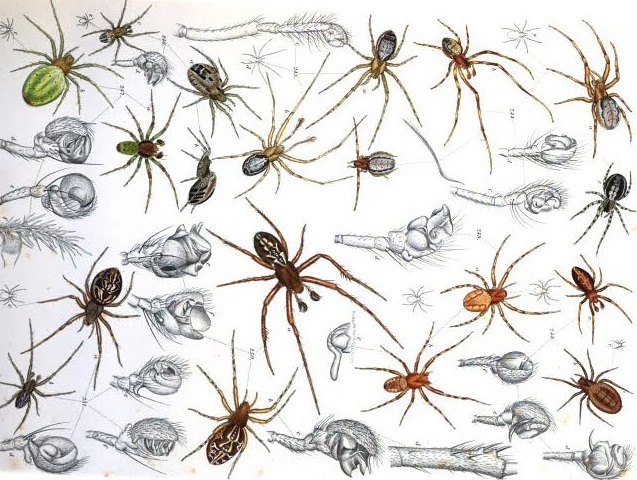 At Dr Jackson’s request, in 1812 the medical authorities of the West Indies collected ‘a considerable quantity’ of cobwebs which were distributed, in pill form, to the Windward and Leeward Islands and to Barbados. The military hospitals of these islands gave them a trial and confirmed Jackson’s original findings. Further, the power of cob-web has been tried, and its good effects have been proved in other forms of irritation besides those that are strictly febrile. In spasmodic affections of various kinds, in asthma, in periodic head-aches, in general restlessnesses and muscular irritabilities, its good effects are often signal. The cob-web gives sleep, but not by narcotic power:—tranquillity and sleep here appear to be the simple consequence of release from pain and irritation. Cob-web has also been applied locally, —under my own eye, to ulcerated and irritable surfaces with singular good effect. At first, the pain which it occasioned was sharp,—but it was momentary; and the surfaces, which had been painful, irritable and untractable to other applications for weeks or months, were healed up in the course of two or three days at farthest. The cob-web here recommended is the produce of the black spider which inhabits cellars, barns and stables: that which is found upon hedges in autumn does not possess the same power, if it be actually of the same nature. The idea of using something natural instead of something created in a laboratory sounds much better to me. Good thing we don’t establish medical efficacy based on how nice something “sounds”.